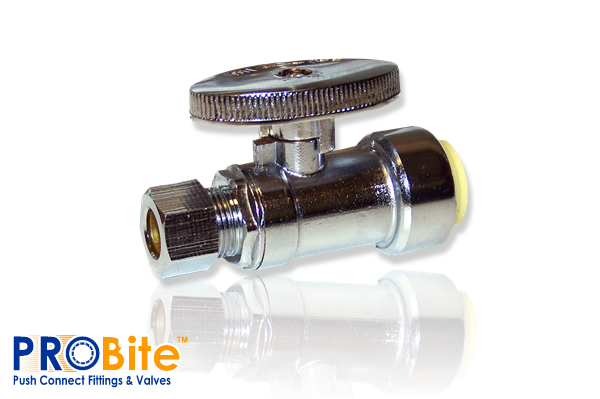 Lead Free Quarter Turn Push Connect Straight Ball Valve 1/2" x 3/8" OD. 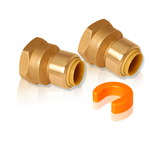 Home :: Push Connect Fittings :: Ball Valves :: 1/4" Turn Lead Free Push Connect™ Straight Ball Valve 1/2" x 3/8" OD. Straight Female Push Connect™ Adapter Straight Female Push Connect™ Adapter 1/4PC x 1/4" FNPT Premium Mini Tube Cutter 1/8"- 1 1/8"